In this postings I Aleksandr playng role of intrepid arts reporter for Mr. Hugh. London's arty scenes have been playing host to American eye of world. Another art show in London is the collection of George Catlin's Indian Gallery has returned to be shown 170 years after first show in Piccadilly, London in the Egyptian Halls. During 1830s Pennsylvanian born paiter George Catlin (1796-1872) made trips to western United States to documents Native American peoples and their way of life. 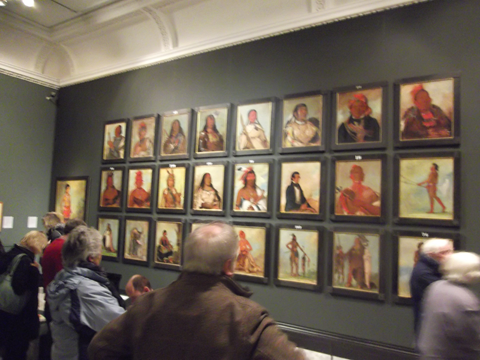 The resulting portraits have become most evocative and important records of indigenous peoples made. 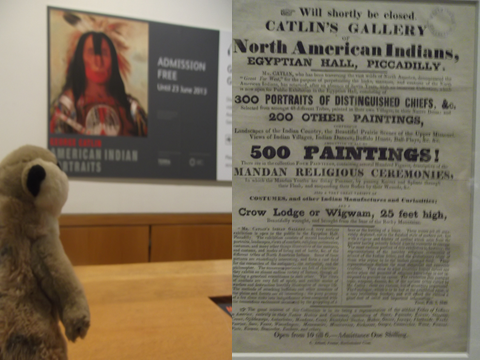 Mr. Hugh told me that " Catlin was an entrepreneur and a show man ( and salesman) who inspired by his encounters he created an 'Indian Gallery that toured America and Europe for ten years." The name appeals to Mr Hugh ! 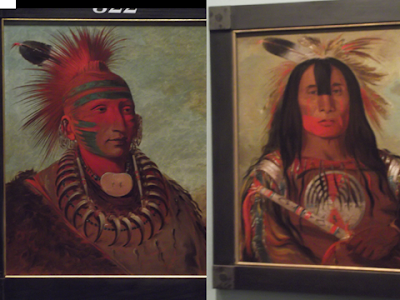 No-hum-mun-ya took part in George Melody's European travelling show in 1843 a troupe of Iowa Indians. No-hum-mun-ya sadly died of an infectious disease in Liverpool during the tour.